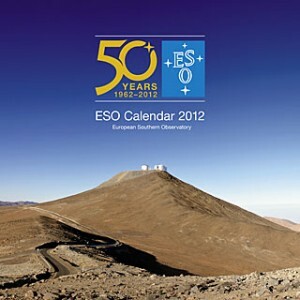 If the calendar linked above doesn’t do it for you, try the European Space Agency (ESA) calendar pages, available for free at the Hubble Space Telescope site. Merry Christmas and a Happy New Year from everyone in the J-R household. May your 2012 consist of successful launches and smooth landings, with a lot of fun and exploration in between. Cover, Guidebook for the Scientific Traveler. 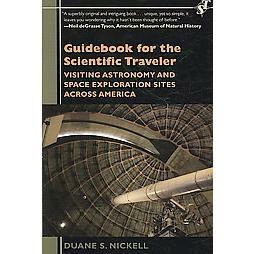 It’s a little late for holiday shopping, but if that Powell’s gift card you received from your grandparents last week is burning a hole in your pocket, I’ve got a book suggestion: Dr. Duane S. Nickell’s Guidebook for the Scientific Traveler: Visiting Astronomy and Space Exploration Sites Across America. No matter how much touring you’ve done around the U.S., chances are you’ll find something new in this book. For instance, while I wasn’t surprised by any of the sites listed in the chapters on optical or radio telescopes, I did flag a couple of entries in the chapter on space museums (specifically, the Kansas Cosmosphere and Space Museum and the Virginia Air and Space Center). Ditto for the chapter on astronomers, astronauts and Einstein. It might have occurred to me to seek out buildings associated with Einstein, but I don’t think I would have sought out the Maria Mitchell House without a prompt. I like the structure of this book. Although you can look up sites by location (there’s an index-by-state at the back of the volume), the chapters are arranged according to theme and chronology. This has allowed Dr. Nickell to discuss sites that are separated geographically yet relate to each other historically, such as the various centers used by NASA, or the multiple observatories that exchanged technology, ideas and personnel during the late 19th-early 20th century. Some of the information is already dated (for instance, you can no longer watch a Space Shuttle launch), but the author has provided the URLs and other contact information for each site described in the book. It’s easy enough to get that off the Internet. What makes the book valuable is Nickell’s contextualization of each site. For example, I appreciated the discussion of the salvaging of Gus Grissom’s Liberty Bell 7 from the ocean floor. It’s an interesting question: who owns are space heritage? The Discovery Channel paid for the search, but the Kansas Cosmophere and Space Museum claims ownership. The Cosmosphere restored the spacecraft and now has it on display in its museum. Nickell suggests the recovery and restoration occurred against the wishes of Gus Grissom’s widow (and indeed an article in the L.A. Times bears out that assertion). I’m not sure I’d want to be the one to explain to Grissom’s family why national heritage trumps its wishes, even while I understand the utilitarian imperative behind national education and the value of communal memory. The writing is engaging, the content is interesting. My best advice: buy a copy and after you read it, tuck it under the front seat of the car (next to your Roadside Guide to Geology) so it will be handy on the next road trip. p.s. Nickell also has a guidebook for physics and chemistry sites in the U.S. Yay, Fermilab! 14 meter millimeter-wave radio telescope at the Taeduk Radio Astronomy Observatory. Photo courtesy Korea Astronomy Observatory. A long time ago, in a galaxy far, far away, I was a contributing editor to a Korean-American cultural magazine. I’ve been meaning to dust off my language skills to do some research on the current state of observatories in South Korea, but every time I get started, I’m put off by how frequently academic and popular articles focus on Cheomsongdae observatory, built in 632-647 CE, rather than on contemporary developments. I suppose there’s nothing inherently wrong with that, but it seems a bit Orientalist to me, implying astronomy in Korea somehow stopped progressing during the Silla Dynasty period. When my twitter feed lit up last night with news of Kim Jong-il’s demise, I began contemplating the state of astronomy in Korea again. It’s true the discipline went through some tough times during the twentieth century. For instance, during the Japanese occupation (1905-1945), Koreans weren’t allowed to be astronomers. Obviously, there’s not much I can say about astronomy in North Korea following the conclusion of WWII, other than it must be amazing to look up at the night sky there, since there’s so little light pollution. In South Korea, astronomy as an academic field was slow to grow. The first bachelor of science program was founded in 1958 at Seoul National University; the second began about ten years later at Yongsei University. The Korean Astronomical Society was founded in 1965 and joined the International Astronomical Union (IAU) in 1973. The Korea Astronomy and Space Science Institute (KASI), the national astronomy research institute of South Korea, was established in 1974. Bohyunsan Optical Astronomy Observatory. Image courtesy BOAO. I mention KASI for a reason. Although there are now other institutions and professional astronomical organizations in South Korea, KASI in particular turns the popular conception of Korean astronomy as an “ancient science” on its head. The research initiatives at KASI are numerous and diverse. 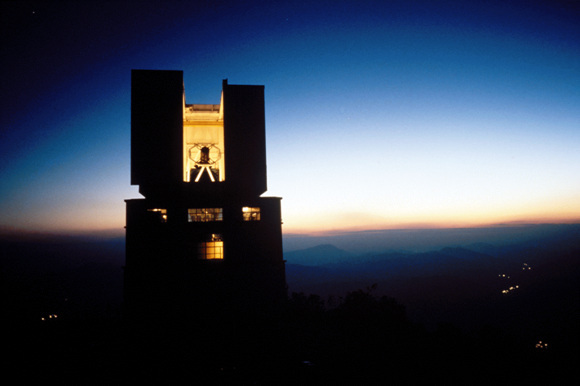 KASI-supported observations started in 1978 with a 61-cm reflecting telescope at the Sobaeksan Optical Astronomy Observatory (SOAO). From there, it expanded into radio astronomy, founding the Taeduk Radio Astronomy Observatory (TRAO) in 1985. 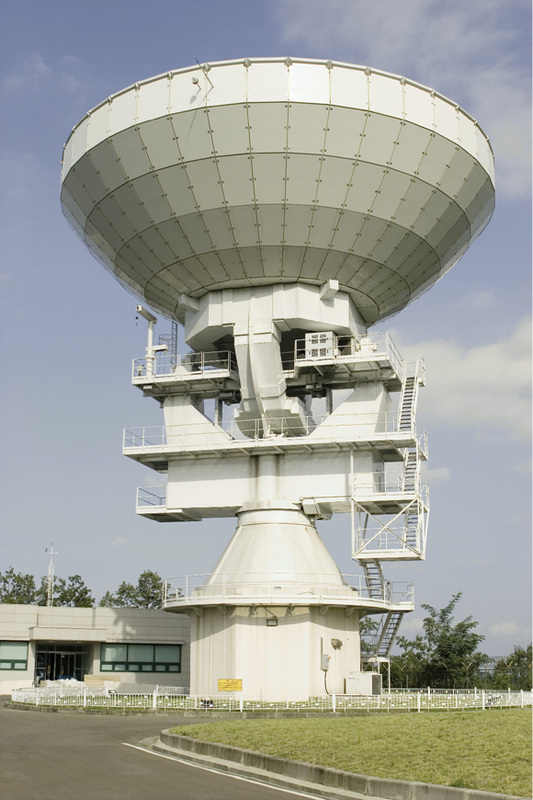 TRAO continues to operate with a 14 meter millimeter-wave radio telescope. In 1996, Bohyunsan Optical Astronomy Observatory (BOAO) was opened with the largest optical telescope in the country and in 2009, South Korea moved to join the Giant Magellan Telescope initiative. 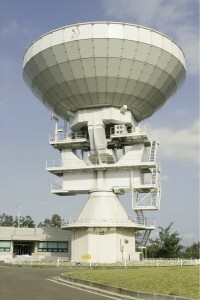 KVN Radio Telescope, Ulsan, South Korea. Photo courtesy of KASI. KASI opened the 21st century with one of my favorite projects, the Korean VLBI Network KVN Group. Return visitors to this site may remember my obsession with the NRAO Very Long Baseline Array. A comparable scheme, KVN is the first Very Long Baseline Interferometer facility in Korea, consisting of three 21 meter radio telescopes, erected in Seoul-Yonsei University, Ulsan-Ulsan University, and Jeju-Tamna University. The maximum baseline length of the KVN is considerably shorter than that of the VLBA (compare 5,000 miles with the 480 km line between Seoul and Jeju). However, KVN can be used in conjunction with Japanese and Chinese VLBI networks to form the East Asian VLBI network (EAVN), which is expected to be comparable to the VLBA in spatial resolution, sensitivity, and imaging fidelity. This post really doesn’t have much to do with North Korea, does it? It’s wrong to envy their dark skies, I know, but it would be nice to have a decent view of the Milky Way for a change. I. S. Nha, “Astronomy in Korea,” The Third Pacific Rim Conference on Recent Development on Binary Star Research. Proceedings of a conference sponsored by Chiang Mai University, Thai Astronomical Society and the University of Nebraska-Lincoln held in Chiang Mai, Thailand, 26 October -1 November 1995. ASP Conference Series, Vol. 130, 1997, ed. Kam-Ching Leung, p. 313. Ibid., 313. North Korea joined the IAU separately in 1961 (see proceedings from the IAU XIth General Assembly, Berkeley, 1961). For the record, the IAU reported that North Korea “may be opening up to the rest of the world” in the 2008 Informational Bulletin no. 102 (see p. 75). Kiyoaki Wajima, Hyun-Goo Kim, Seog-Tae Han, Duk-Gyoo Roh, Do-Heung Je, Se-Jin Oh, Seog-Oh Wi, and Korean VLBI Network Group, “Korean VLBI Network: the First Dedicated Mm-Wavelength VLBI Network in East Asia,” XXVIIIth General Assembly, International Union of Radio Science (URSI), New Delhi, October 2005. 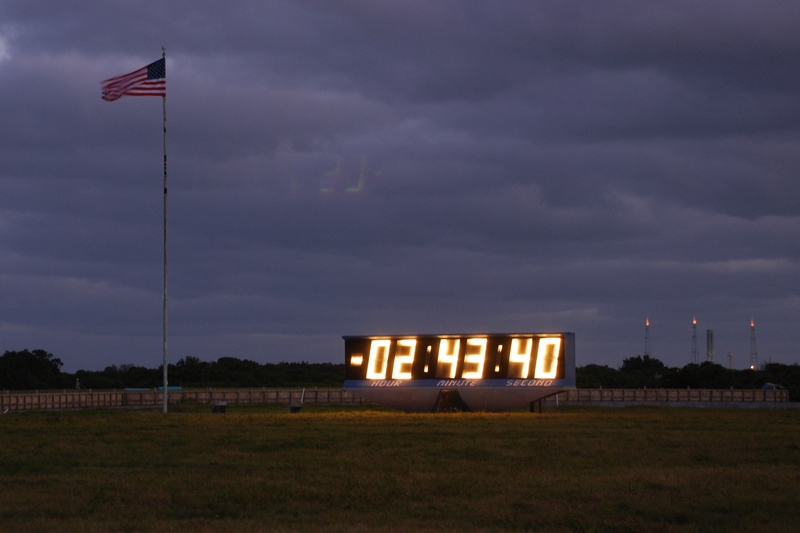 Kennedy Space Center’s Launch Complex 39 includes two pads, A & B. 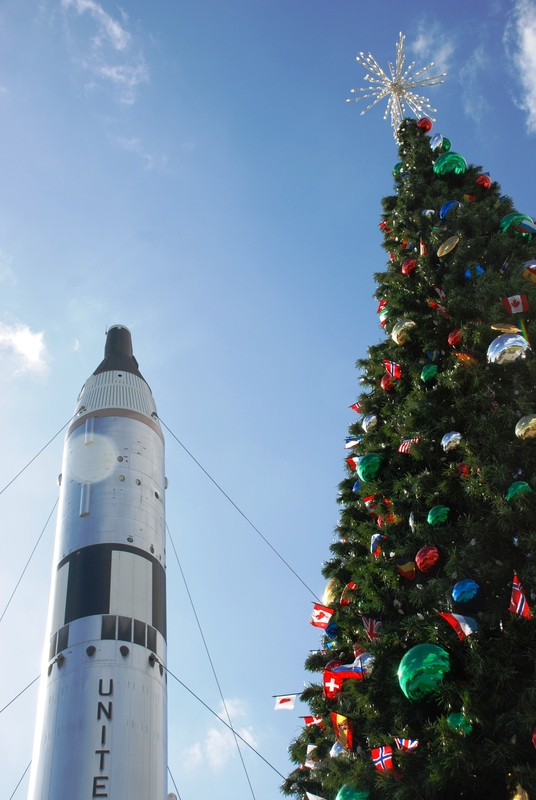 Although today they’re associated most frequently with the Space Shuttle program, they were designed originally for the massive Saturn V rockets used during the Apollo program. On November 9, 1967, Apollo 4 became the first rocket to launch from LC-39A. A total of twelve Saturn V rockets were sent up from that pad. 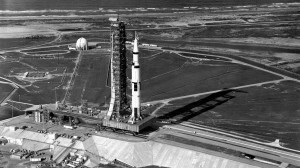 In contrast, LC-39B saw only one Saturn V, the one used to launch Apollo 10 on May 18, 1969. The Apollo 10 mission was a test drive of sorts, the last test mission before NASA made the final leap to the moon with Apollo 11. Today’s wallpaper marks the launch of Apollo 11 on July 16, 1969. As with most big news events, everyone has a story to tell about the launch and lunar landing. My story is quite short, as I was only two years old at the time. I remember my father reaching out from where he was sitting in front of the television, lifting me onto his lap, and saying, “Watch this, Susie, this is important.” There are many other things he did and said that affected the way I live(d) my life, but I suspect that one moment determined more than either of us could have guessed at the time (especially me—what does a toddler know?). 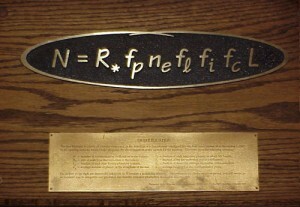 Drake Equation Plaque in the NRAO Green Bank Residence Hall Lounge. Photo courtesy NRAO/NSF/AUI. If you were following the news out of the Kepler Conference last week, you might have heard the announcement that the SETI search using the Allen Telescope Array (ATA) is back in business. The ATA had been mothballed in April due to budget problems, but new funding from public donations and the U.S. Airforce Space Command will allow SETI to resume its work with a focus on exoplanets discovered by Kepler’s space telescope. At first glance, this seems like a nice gesture and an appropriate way to honor a colleague. However, even those having only a passing acquaintance with Bob probably suspect there’s a story behind the SETI tribute. There is, and it’s a good one—I’ll try to do it justice here. Drake’s early attempts to detect extraterrestrial intelligence, while not successful in the sense that he instantly made contact and changed the fate of the universe, were influential in that they served as the model for the future SETI. 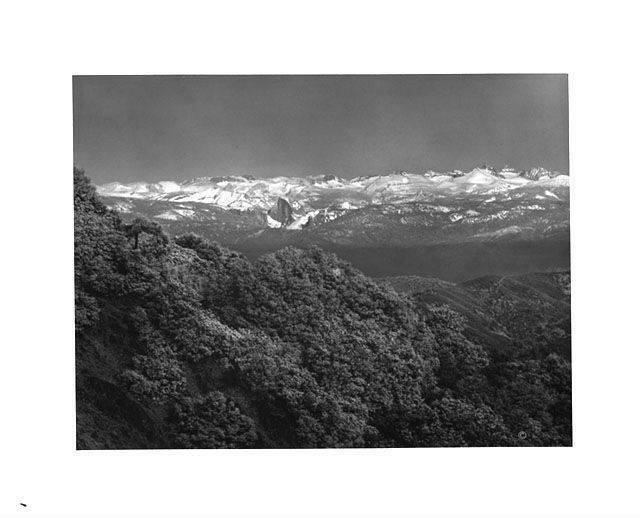 In 1961, he called together a group of like-minded individuals to present his research findings and future plans. As part of this meeting, he proposed what is now called “The Drake Equation” (N=R*fpneflfifcL), an estimate of how many—and what type of—extraterrestrial civilizations we could expect to find in the universe. I mention the Drake Equation because it has served as an inspiration, in one way or another, to many astronomers involved with SETI (within and outside the formal organization). Take, for instance, an interesting bit of research proposed by Bob Rood and Tom Bania in 1992. Noting an adherence to Drake Equation’s required an almost willfully simplistic understanding of extraterrestrial intelligence, Rood and Bania proposed “A Novel Search for SETI Beacons” using Green Bank resources. On one hand, the proposal is perfectly sensible: if we’re searching for a universal reference, easily recognized by us and any other intelligent civilization in the universe, why keep guessing at a frequency? Why not use a frame of reference presumably known to all—that of cosmic background radiation? Rood and Bania refer to this universal frame of reference as “the Frame of God (FOG),” leading to one of the best footnotes in the history of academic writing. As the proposal suggests, Rood and Bania were skeptical of SETI’s reliance on the frequency of the hydrogen line and “the water hole,” and so proposed 3He+ as the new “magic” beacon rest frequency. 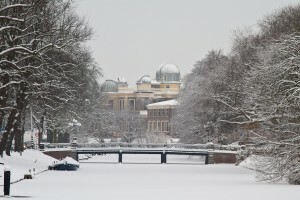 Although the suggestion is couched in humor (no civilization wants to annoy its radio astronomers! ), later publications (and Bob’s license plate) indicate that underneath the joking, there was a serious agenda. For instance, in “Search for Interstellar Beacons at the 3He+ Hyperfine Transition Frequency,” Bania and Rood posit multiple arguments for the privileging of 3He+ in future SETI efforts. 3He+ has the second simplest hyperfine transition after the 21cm hydrogen line; any intelligent civilization studying interstellar hydrogen would also study 3He. Naturally occurring 3He+ is found only in interstellar plasmas; further, the 3He+ lines in those regions are weak. Any strong 3He+ signal detected away from an HII region/planetary nebula would almost certainly be artificial. And so on. “When I read the title of this proposal I shook my head sadly and thought that two more astronomers were reaching their dotage. However, as I read through the proposal I found myself grinning and nodding my head. I don’t like SETI searches from phtlosophical considerations, but this proposal is innovative enough to merit a try, if for no other reason then to reward the imagination and wittiness of the proposers. They won’t find ETI’s of course, (there’s a bigger chance of me winning the lottery or getting NSF funding …. ) but who knows what will turn up? I hope this somewhat verbose explanation of the SETI tribute captures at least the spirit, if not the fine nuances of the scientific intent, behind Bob’s work. Kudos to SETI for recognizing his contributions to the field even though he poked fun at their organization every now and then. I’m angry that Bob’s gone—I had a long list of things I wanted to tell him. I’m selfishly upset that I never got a chance to ask him about one of my own research problems. I’m sad for his friends and his colleagues, and especially for his family. But I have to admit, I’m really, really sad for myself. 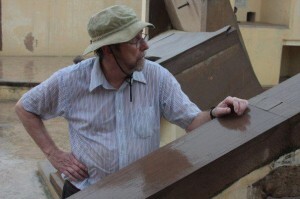 Bob Rood at the Jantar Mantar observatory, Varanasi, India, July 2009. Photo courtesy of the Snell-Rood family. Read the linked proposal, otherwise “*Bob Vance has checked the 140 foot control system and it appears that with a minor software patch we can observe in the FOG” probably won’t seem very funny. Third Decennial US-USSR Cotiference on SETI, ASP Conference Series, Vol. 47, 1993, G. Seth Shostak (ed. ), pp. 357-65. While at the Kennedy Space Center over Thanksgiving, I had the privilege of visiting the Space Shuttle Endeavour in its temporary home in the Vehicle Assembly Building (VAB). As our guide explained, ordinarily Endeavour’s decommissioning process would have taken place in one of the nearby Orbiter Processing Facilities, but both were occupied: Discovery (shown above) was in Facility-1, while Atlantis was in Facility-2. The orbiters are being prepared for their new museum homes, but before they can be put on display, all toxic materials and significant re-usable parts have to be stripped from them. 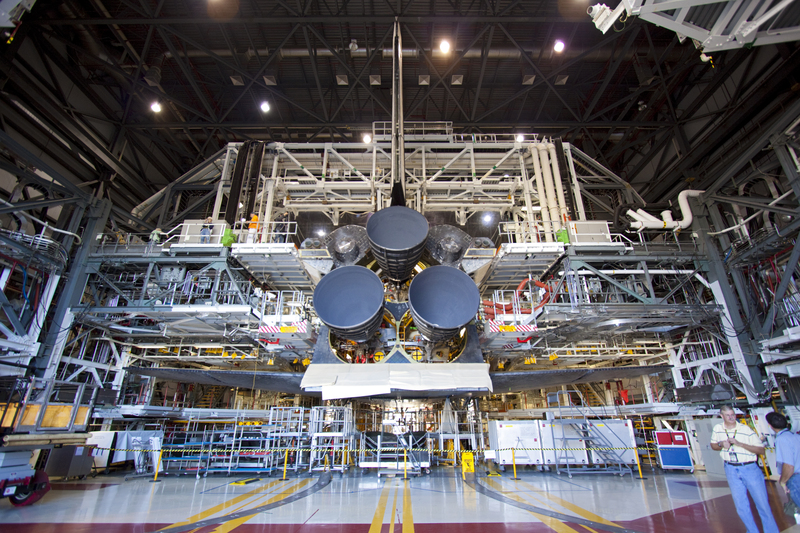 Three major components were removed from the shuttles, including the Shuttle Main Engines (SMEs). 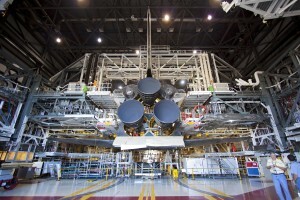 The photo above shows Discovery with new Replica Shuttle Main Engines (RSMEs) in place of the originals. The Kennedy Media Gallery contains multiple images, in multiple sizes, of the SME replacement process (enter item numbers KSC-2011-8168 through KSC-2011-8198) in the search box at the top of the page). I’m still adding photos, but the base set from launch morning can be found on my flickr site.